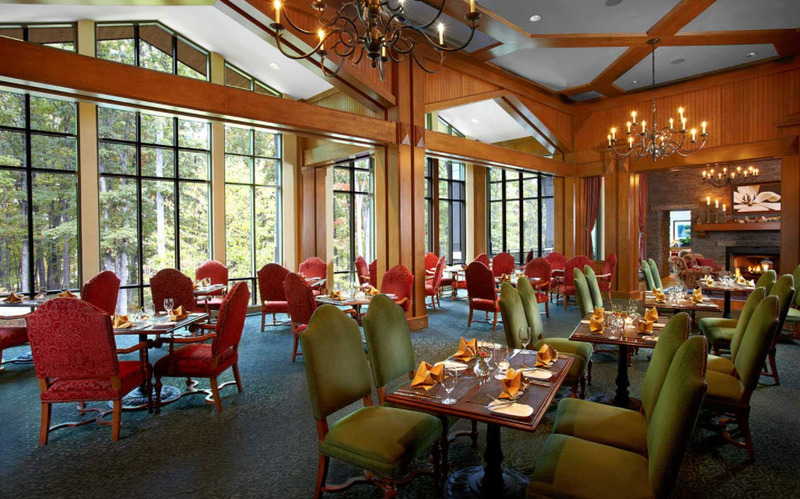 Welcome to Tree, our dining room here at The Lodge at Woodloch! Our hours of operation are the following: Breakfast- Monday through Friday 7am to 9:30am; Saturday and Sunday we serve from 7am through 10am. Lunch is always from 11:30am through 2pm whereas Dinner is always from 5:30pm through 8:30pm. No reservations are needed for Breakfast and Lunch hours, and you can even come dine with us in your spa robes for these meals! For dinner, we ask that you dress in resort casual clothing (no robes or hats) and please expect to dine with us for up to two hours to gain our complete dining experience! Breakfast and lunch are one course with a buffet included whereas dinner is a four-course meal spaciously timed out for your full dining pleasure! 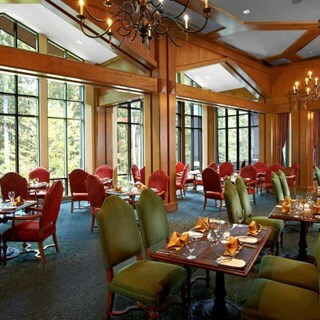 At TREE, you’ll dine amongst the treetops on a diverse menu of creatively prepared gourmet food, featuring naturally-raised meats and fish, as well as locally-grown organic vegetables. Complement your meal with a selection from our award-winning wine list or enjoy a cocktail from the bar, located in the dining room itself. In addition to your dining experience, our Chef’s Kitchen offers cooking demonstrations, chef-hosted dinners upon request (which includes a private event fee), and special seasonal events such as our chef hosted garden dinners prepared right in our garden! When visiting the Lodge at Woodloch I am always so excited about the classes, the spa, the pools and atmosphere in general that I forget how wonderful the food is. All 3 daily courses are fresh, innovative and delicious. Great choices no matter what your desire. Waitstaff (especially Courtney and John) are an A+; always smiling and one-step ahead.